Discover how Fabpilot can help you manage your school’s 3D Printing Lab! Interested in discovering all the advantages that could be provided by Fabpilot? 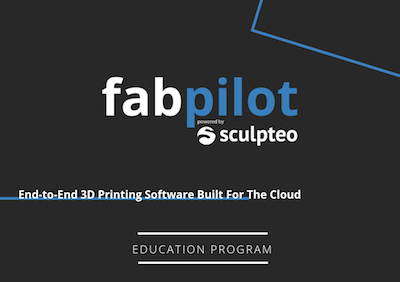 Download the brochure to get all the information on the benefits of Fabpilot 3D printing software to students, teachers, and researchers!